This ongoing project by designer Matt McInerney is a personal challenge. The logos are unsolicited, unofficial, and designed purely for fun. The process does not reflect real world circumstances. 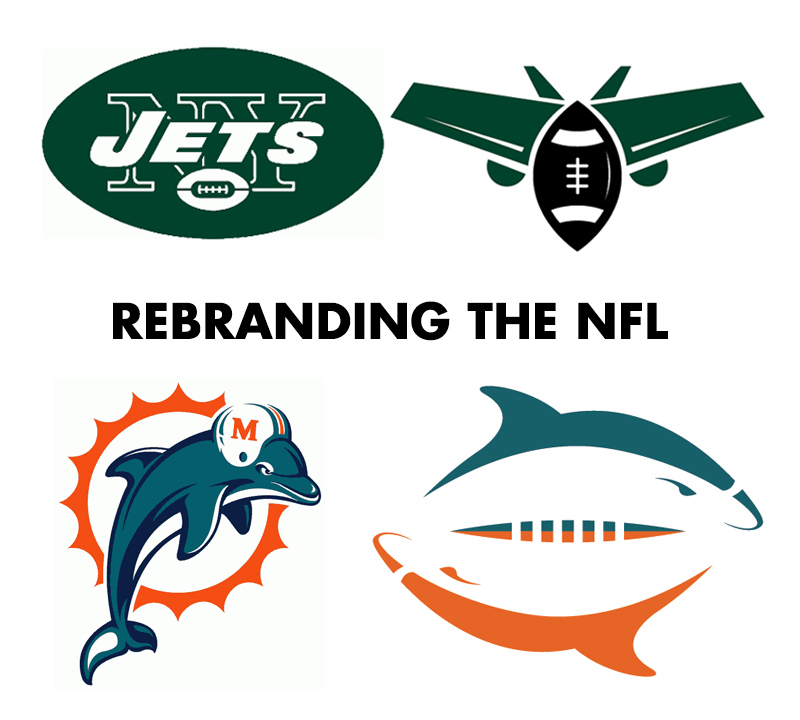 Matt took it upon himself to redesign NFL team logos using the team colors and a more modern and streamlined approach to their icons. After Fast Company brought his work to the forefront, Matt learned that some people are incredibly attached to their team's logos and as a result, he received some negative feedback. But he makes it clear that his intention is not a proposal to change all the NFL Team's marks but rather a personal project exercising his design skills and talent. For actual comparison (and to offer something more than you will find on his own site and in the Fast Co. article), I have placed the NFL Team's Official Primary Logos on the left and Matt's versions on the right. In two cases (Minnesota Viking and Houston texans) Matt designed an alternate version as well. For some design explanations of the thinking behind each mark, visit here. Oh this is so bad. So bad.